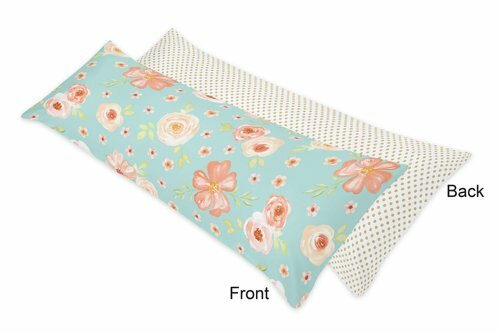 Watercolor Floral reversible floral print/mini gold polka dot body pillow case will add that special touch to any room. 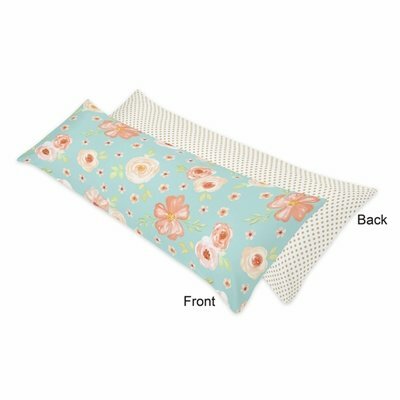 It is especially designed to fit the matching WHITE CLOUD Down Alternative body pillow and made to coordinate with Sweet Jojo Designs Bedding Sets. This cover features zipper closures on both sides for easy use. Machine washable and dryable.